Feel wind, water, and weird creepy crawlies...as you venture into an elusive island alongside a star-studded cast! Complete this Klook activity to get 1%-5% of the activity cost back in free credits to use on your next booking. For example, book US$10.00 to get US$0.1 free credits. Gain unlimited access to three of Sentosa's most surreal 4D experiences - the first of their kind in Asia! 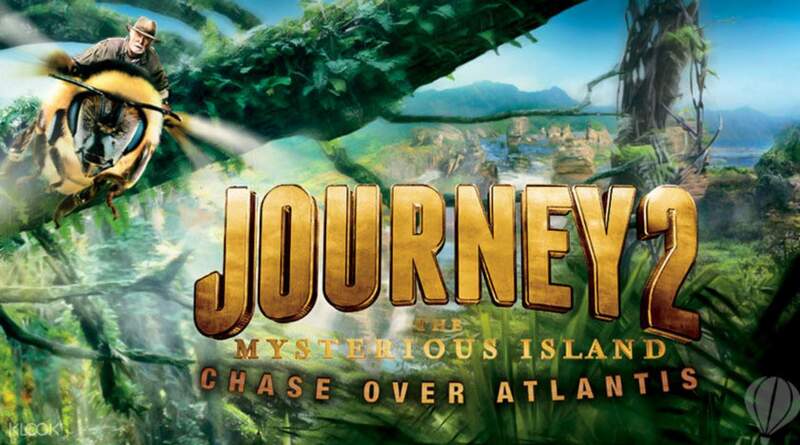 Go on an adventure in the 4D movie, Journey 2: The Mysterious Island. Experience state-of-the-art video projection featuring wind, water, and other surprising effects! 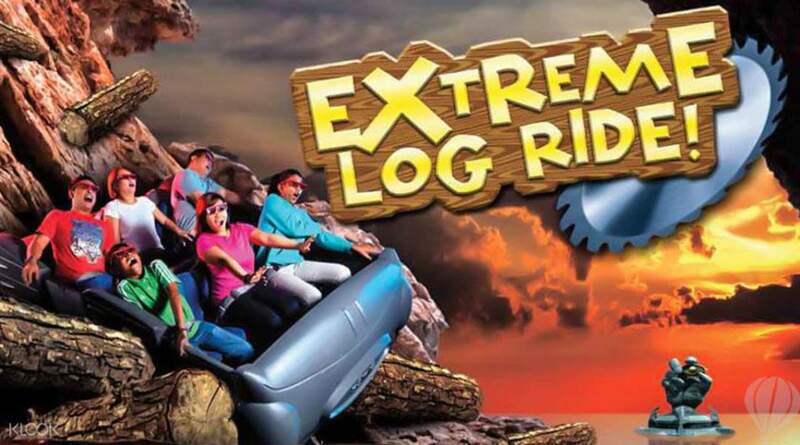 On Extreme Log Ride, a 4D roller coaster thrill, hang tight as you soar between cliffs, plunge over waterfalls and dive into crocodile-infested waters. 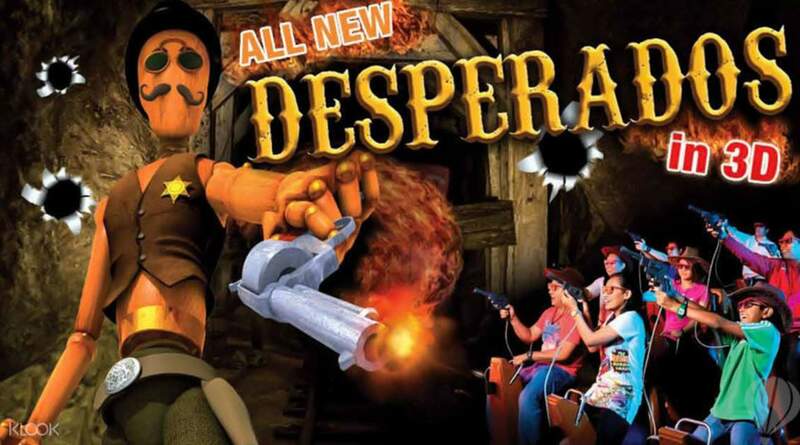 Then saddle up for Desperados, a gaming ride where you're tasked with chasing after outlaws - and engage in a Wild West shootout, firing pistols and all! I got a good discount on klook to buy the ticket for sentosa. Moreover i booked it while waiting in the queue and got the instant booking. Was able to save time and money both. I would recommend klook to everyone. I got a good discount on klook to buy the ticket for sentosa. Moreover i booked it while waiting in the queue and got the instant booking. Was able to save time and money both. I would recommend klook to everyone. Great experience in 4D Adventure land. My kid enjoy a lot. We took unlimited rides options and went for rides 2 times. Awesome experience with Klook. 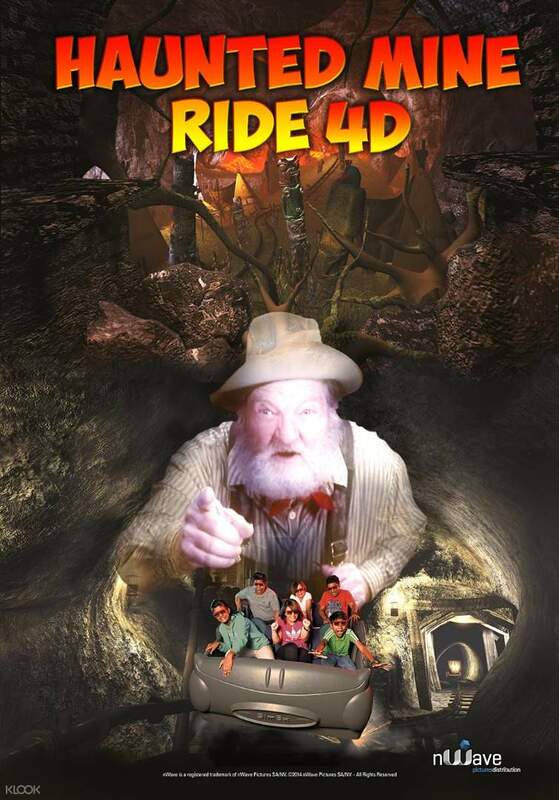 Easy to redeem it at ticket counter of4D Adventure only. Great experience in 4D Adventure land. My kid enjoy a lot. We took unlimited rides options and went for rides 2 times. Awesome experience with Klook. Easy to redeem it at ticket counter of4D Adventure only. I have been using klook for the third time and it is very convenient and the process was easy and hassle-free. No regrets booking through Klook! The 4D AdventureLand is very interesting & we happy to try this. We enjoyed every adventure and every journey in this place. As I bought the 3 in 1 unlimited ticket, my Son had the rides over and over again. He enjoyed it very much. I have been using klook for the third time and it is very convenient and the process was easy and hassle-free. No regrets booking through Klook! The 4D AdventureLand is very interesting & we happy to try this. We enjoyed every adventure and every journey in this place. As I bought the 3 in 1 unlimited ticket, my Son had the rides over and over again. He enjoyed it very much. Thk Klook for the great discount! Cos this time too we bought 22 Tickets for the group thus I went earlier to redeem the tickets first as 22 tickets in this stations took abt 10-15mins to get the tickets ready. Overall is fun, all our colleagues loves the Adventure Logs rides . It stats 15mins but in the end the real rides seem like only 6-7mins. May b it’s enough too for some ppl as can’t be too shaky for too Long. Overall, great experiences! Thk Klook for the great discount! Cos this time too we bought 22 Tickets for the group thus I went earlier to redeem the tickets first as 22 tickets in this stations took abt 10-15mins to get the tickets ready. Overall is fun, all our colleagues loves the Adventure Logs rides . It stats 15mins but in the end the real rides seem like only 6-7mins. May b it’s enough too for some ppl as can’t be too shaky for too Long. Overall, great experiences! It was the first 4D in asia and a must try. I loved the desperados and journey. Better to buy the unlimited pass. It was the first 4D in asia and a must try. I loved the desperados and journey. Better to buy the unlimited pass. My wife wanted to experience the 4D adventureland and she enjoyed it very much. It is near the Merlion statue on Sentosa Island. Also, Klook is very helpful when travelling, it saves you the hassle when lining up for tickets. My wife wanted to experience the 4D adventureland and she enjoyed it very much. It is near the Merlion statue on Sentosa Island. Also, Klook is very helpful when travelling, it saves you the hassle when lining up for tickets.